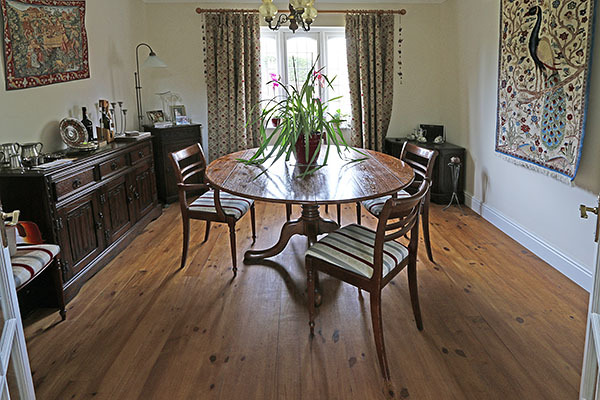 Our bespoke handmade round extending oak pedestal table, seen here (in our 'Raw Sienna' colour) in the dining room of our clients West Sussex home. 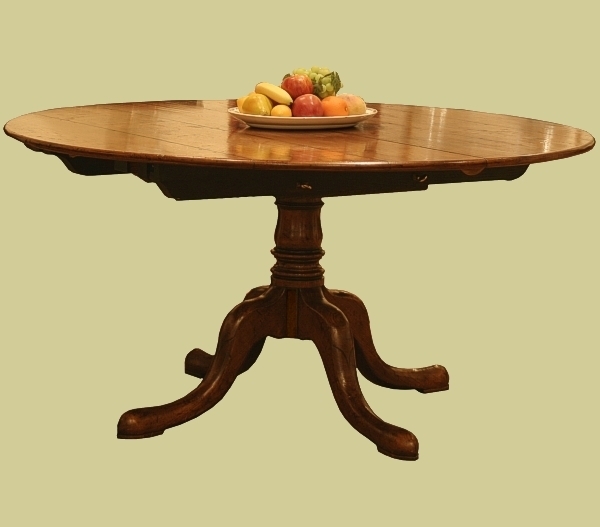 For that odd entertainment occasion, the 152cm diameter table extends out to 244cm, seating 10-12 people. Click the image below for more information.